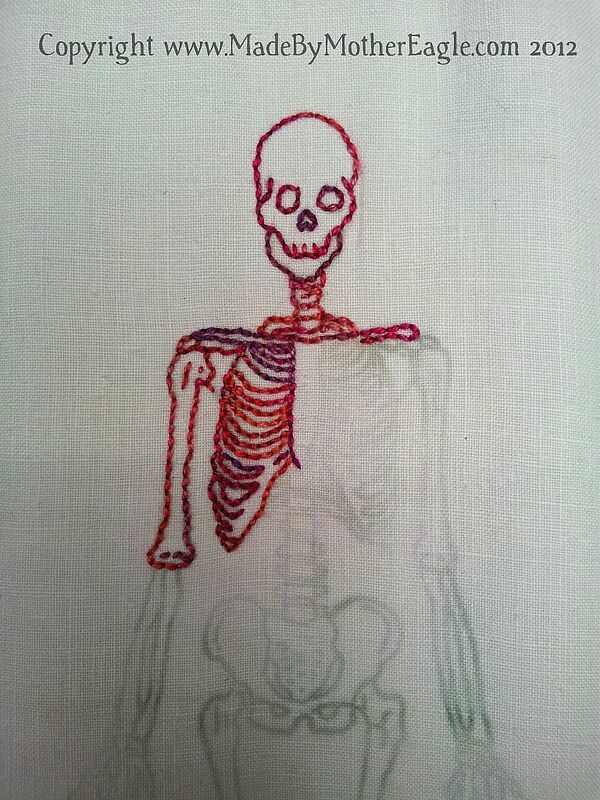 I have thought about doing a full skeleton for ages, but obviously not something that can be executed well on a teeny scale. But as soon as I looked at my new doilies I knew the time had come. 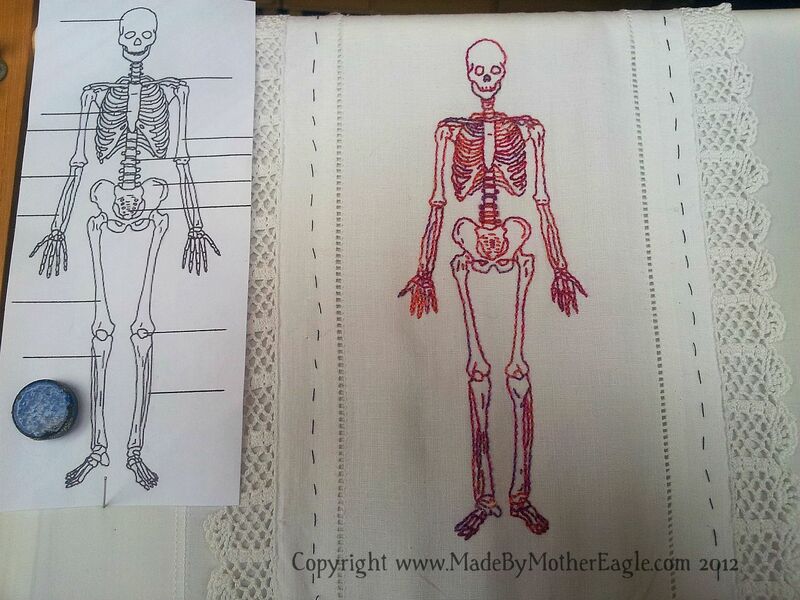 I started in the normal way – found the ideal skeleton illustration, sized it up and traced him. 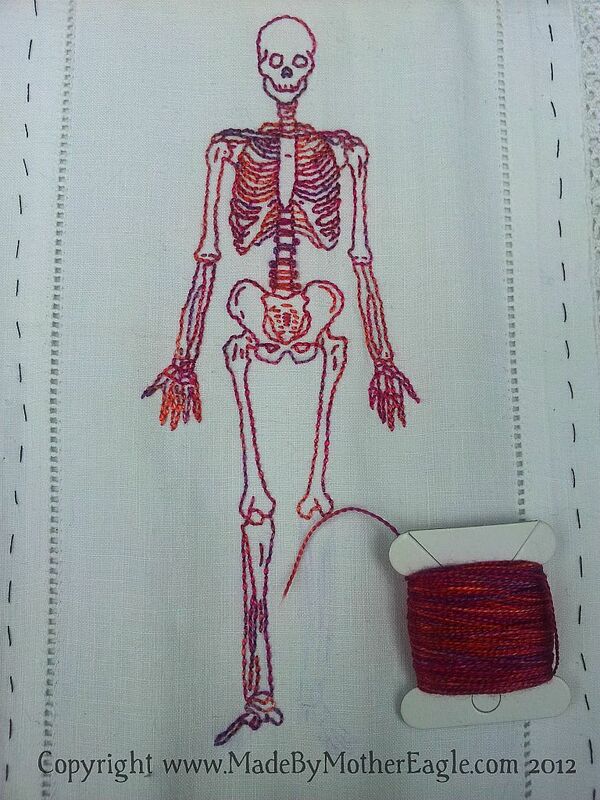 I knew transferring it would be a one-shot thing as there would be no way I could reposition such an intricate image. 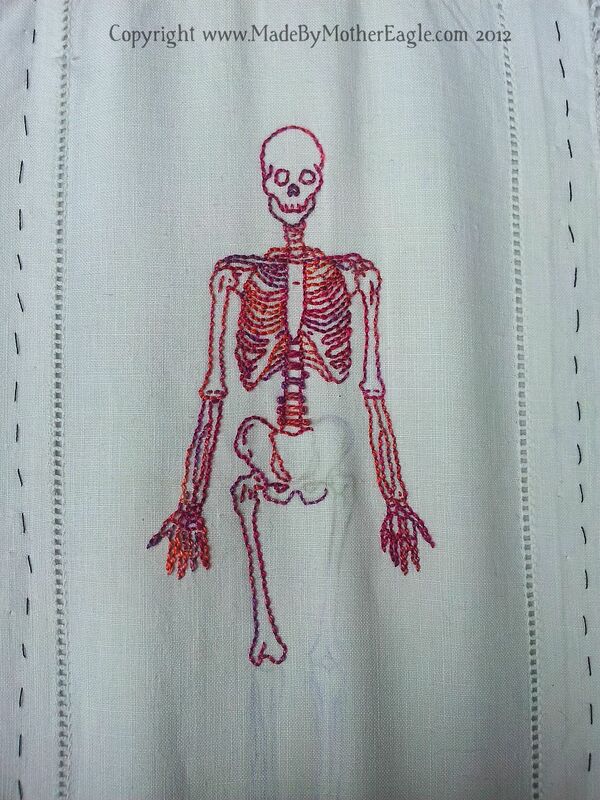 Unfortunately it didn’t go well, and I ended up with a legless skeleton. 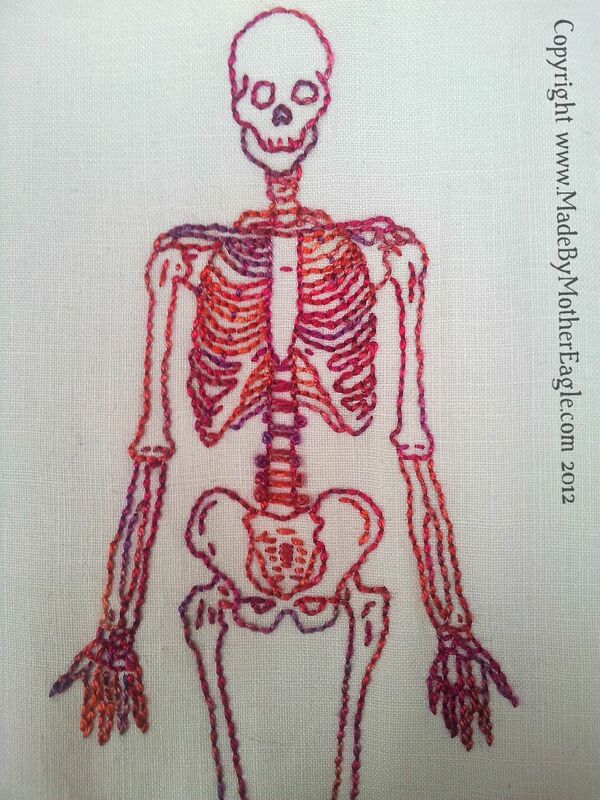 In my mind’s eye he was to be a classic black skeleton, picked out in simple backstitch. 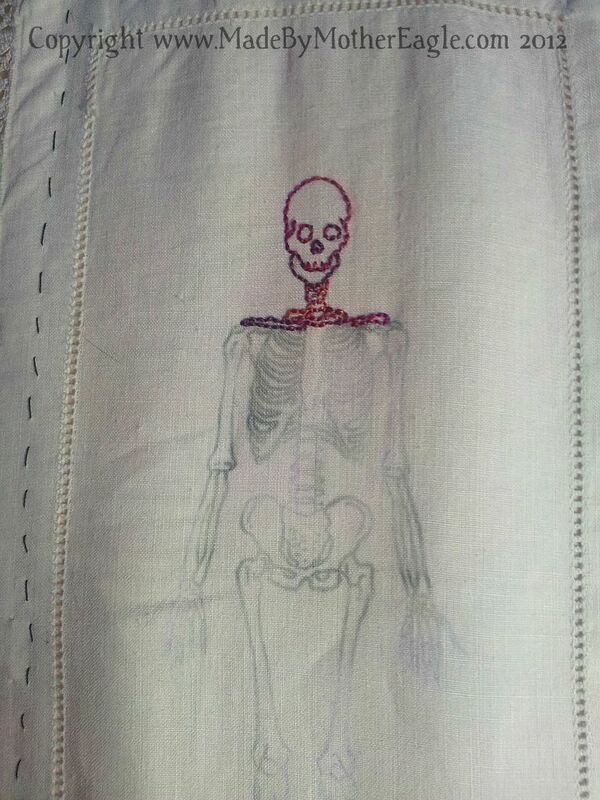 But my love for colour and weakness for my silks overruled as always, so he is in Poppy coloured variegated fine silk. 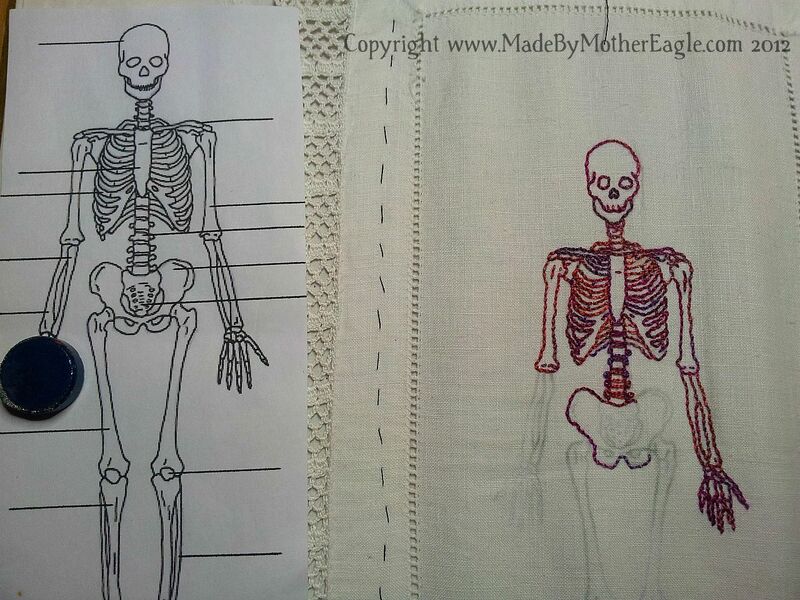 As this was a larger piece I was really careful about the framing, and so tacked the whole doily carefully to a pillowcase, and stretched this on my roller frame. 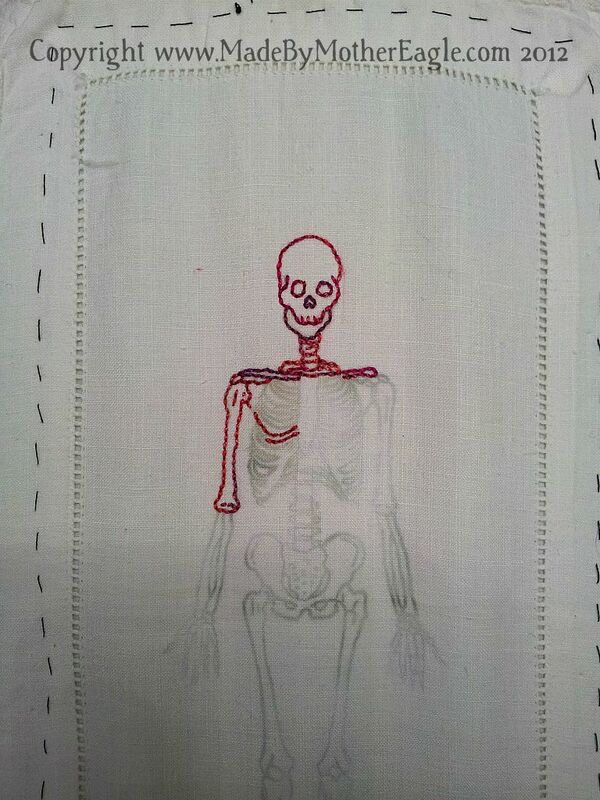 I embroidered through both layers which really stabilised the whole work and gave me perfect tension. 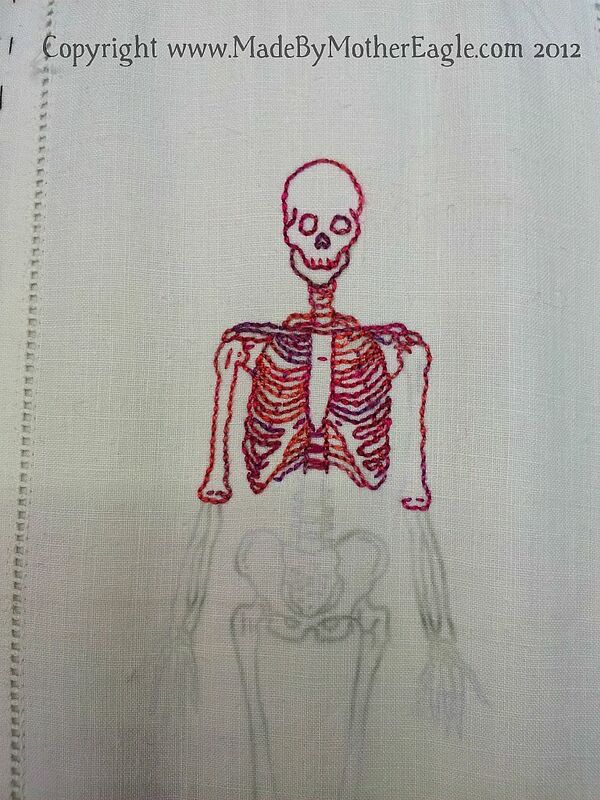 In some ways I feel the effectiveness of this embroidery is a bit of a cheat on my part, the equivalent of colouring within the lines; back stitch is a basic stitch and I cannot claim the design of a human skeleton as my own. Yet the composition is lovely to mine eye. Thanks everyone, always appreciate your comments and feedback a lot! I’m glad you went with the poppy silk. He’s beautiful!